Trojan Group 31 AGM 12 Floor Machine Battery Free Delivery to many locations in the Northeast. 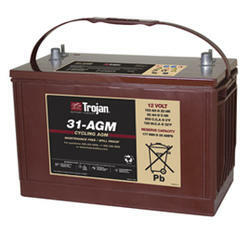 Trojan Group 31 AGM Battery Free Delivery to many locations in the Northeast. If you don't have a core the core charge is $30.00 per battery.